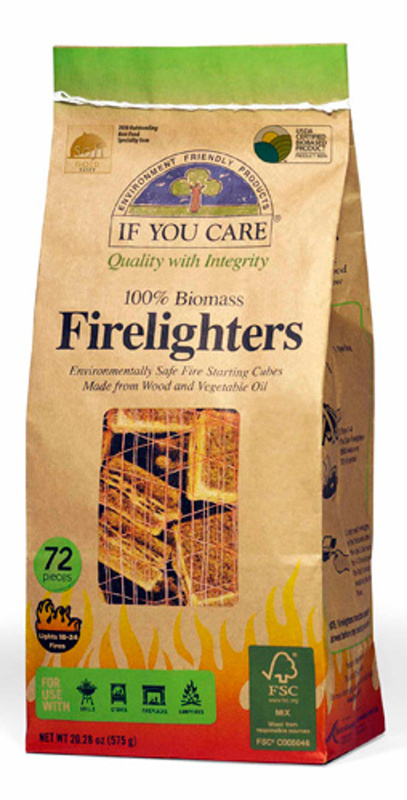 Environmentally friendly firelighters made from FSC certified wood and non-GMO vegetable oil. The firelighters do not rely on fossil fuels and are non-toxic unlike kerosene or petroleum firelighters. Use with fireplaces, grills, wood burning stoves and campfires, simply place 3-4 firelighters under wood or on top of charcoal and light them on the fractured side of the cube – they will burn for 8-10 minutes. Make sure they have completely burned before putting any food on the grill. 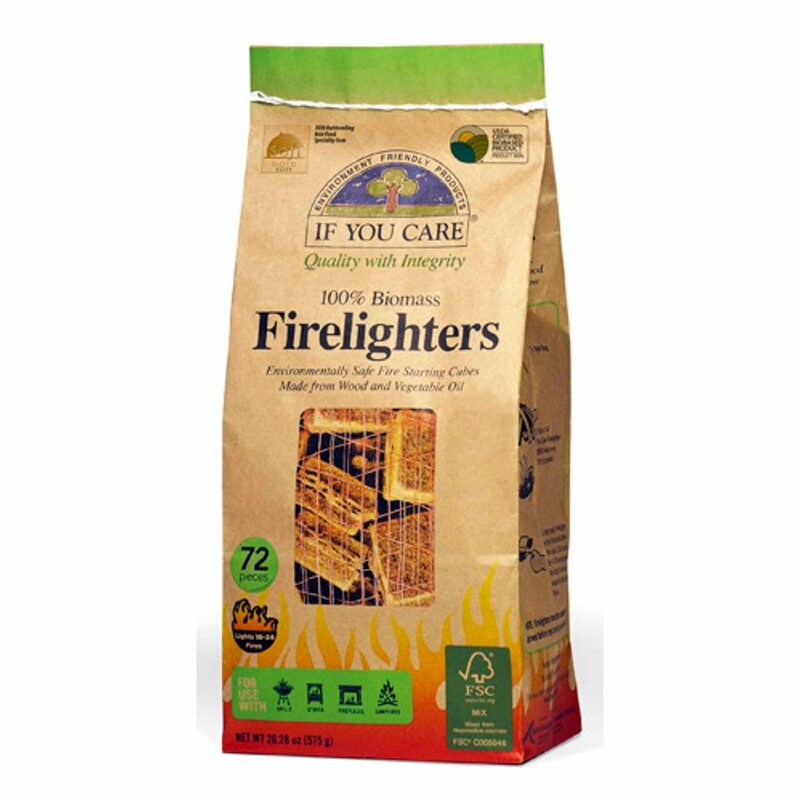 The If You Care Firelighters - 72 Pieces product ethics are indicated below. To learn more about these product ethics and to see related products, follow the links below. I' have used these before to light an open fire in the Winter months and they worked every time. Great firelighters. Slightly more difficult to catch light than conventional firelighters due to lack of accelerant but that's the beauty and point of these! rnHowever, each one lasts (holds the heat / burns) long enough to light the fire well, often with only one block. rnCan be stored near food so excellent for home as well as camping. rnBeen using them for years and so pleased to see them available on your website - thank you. There are currently no questions to display about If You Care Firelighters - 72 Pieces.